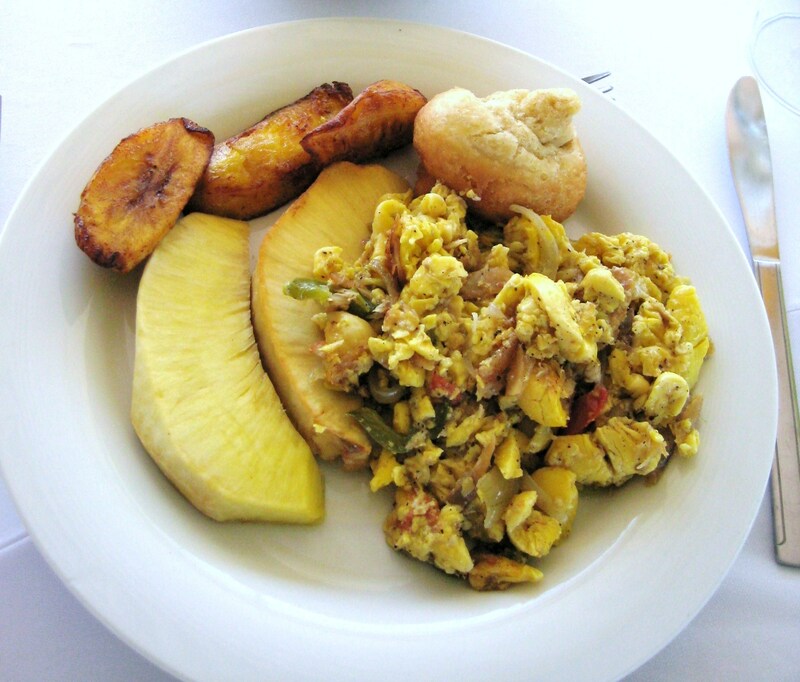 Ackee and Salt fish, served with Johnny cake, fried Breadfruit, and fried Plantains. All di body needs fi start di day right…wicked breakfast. This entry was posted in Flavors of Jamaica, Healthy Eating, Photo Post a Week 2011 and tagged Ackee and salt fish, banana, Food, Healthy eating, Jamaica, Photo challenge of the week 2011. Bookmark the permalink.